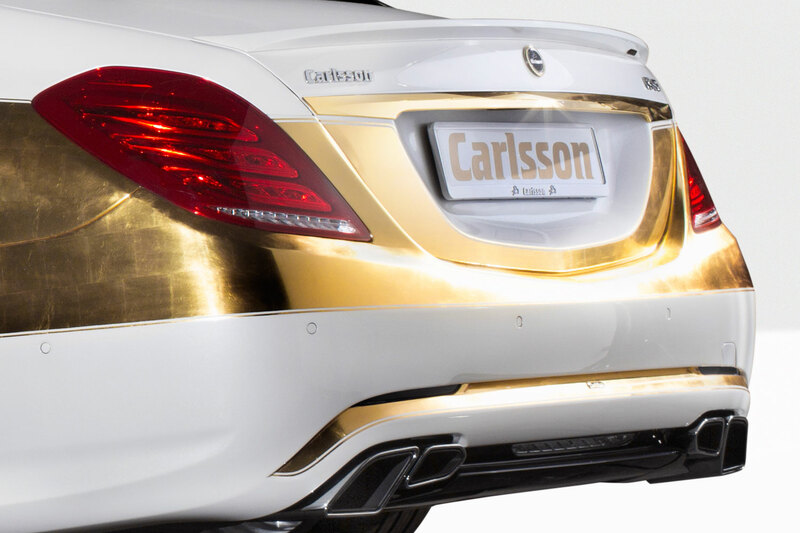 Can you ever have to much gold? 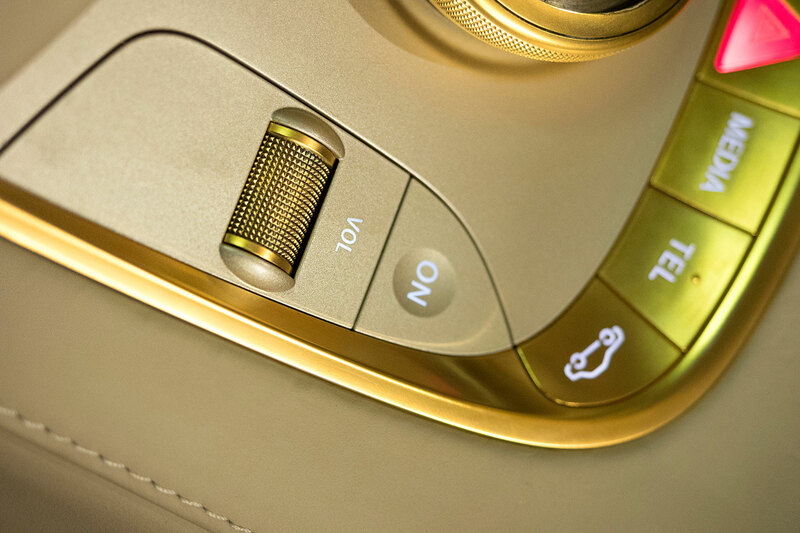 A question I’m asking myself as I go through the photo gallery of the newly revealed Carlsson CS50 Versailles. 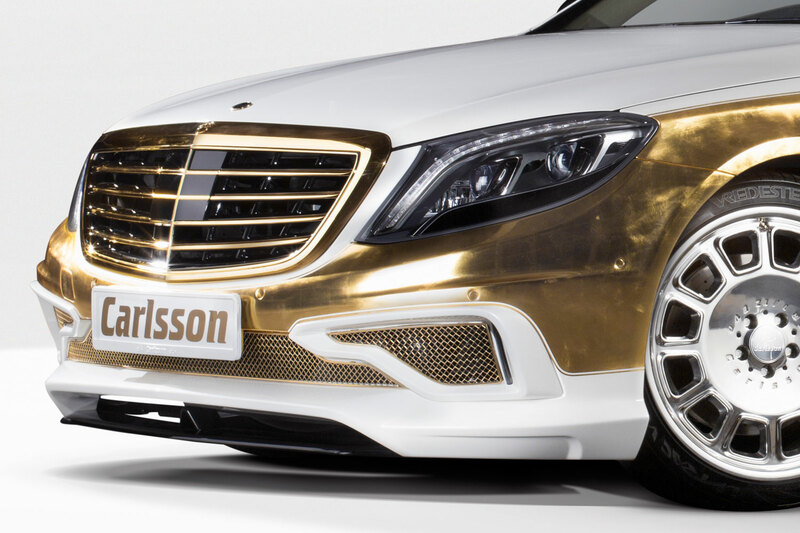 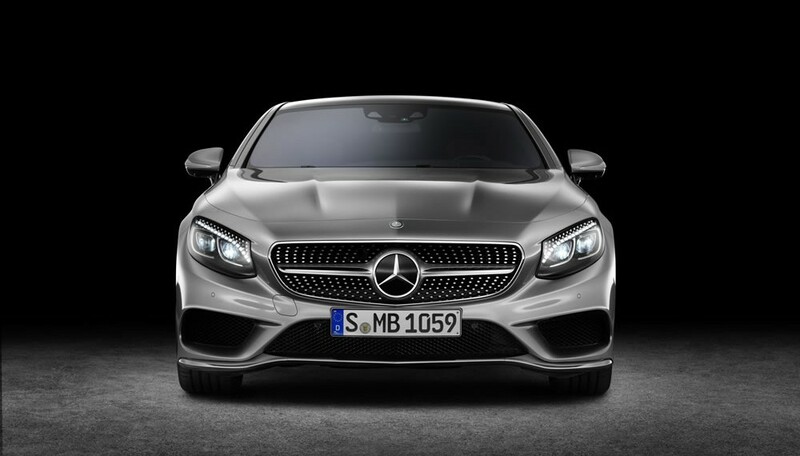 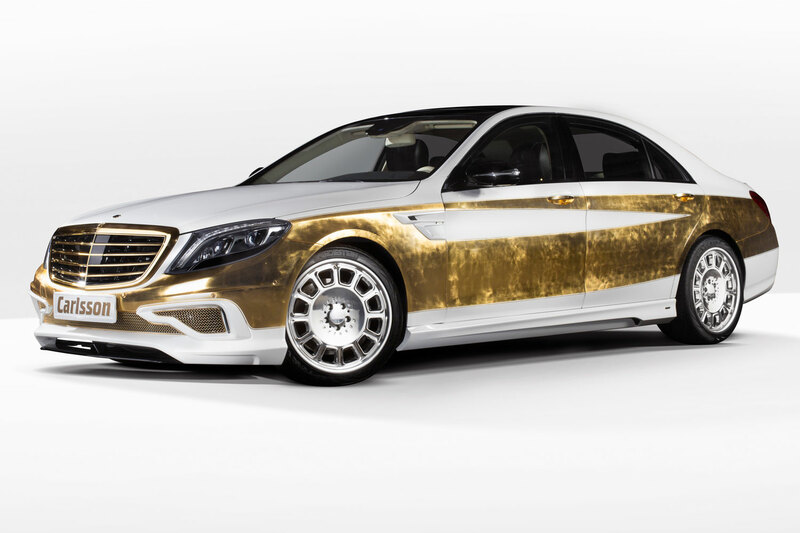 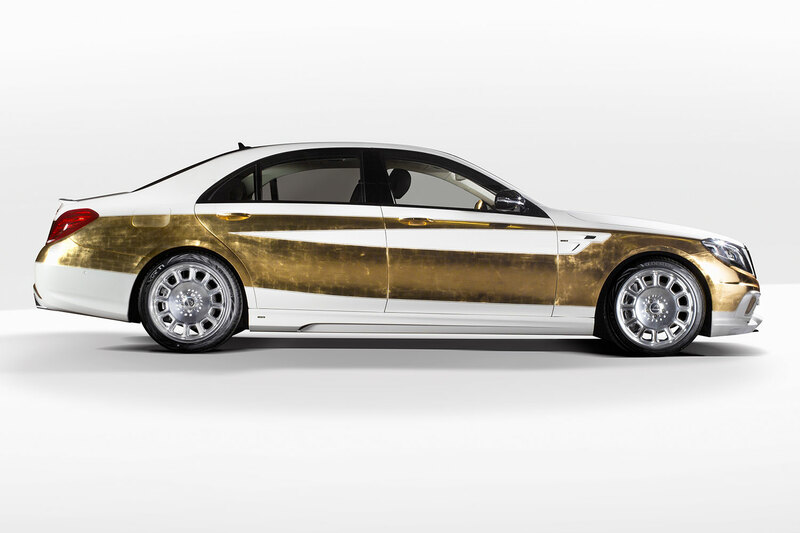 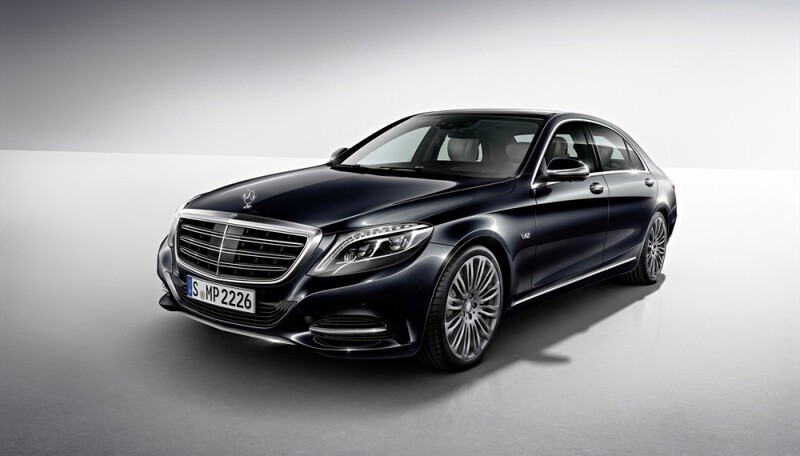 Based on the 2014 Mercedes-Benz S-Class, Carlsson covered the car in more than 1,000 sheets of gold leaf – a process that took over 200 man-hours to complete. 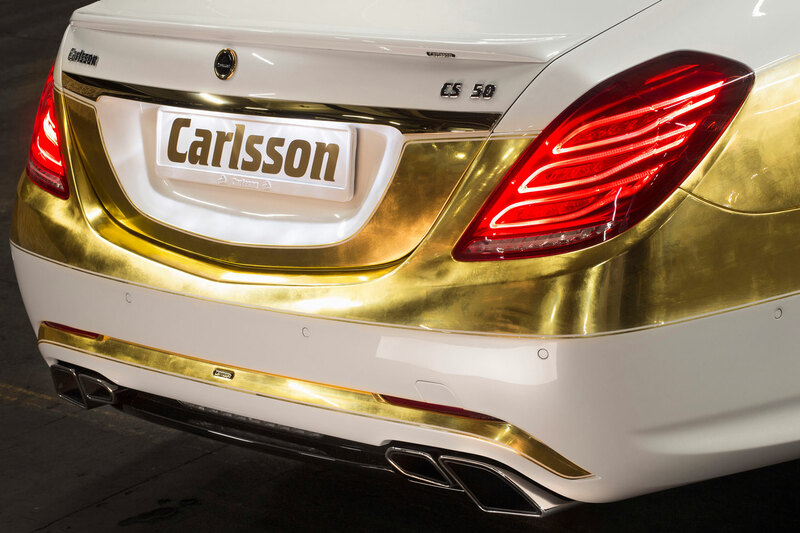 The gold and refinements did not stop there however, Carlsson also covered 278 interior components with gold leaf as well, perfectly complimenting the champagne and dark brown Nappa Leather. 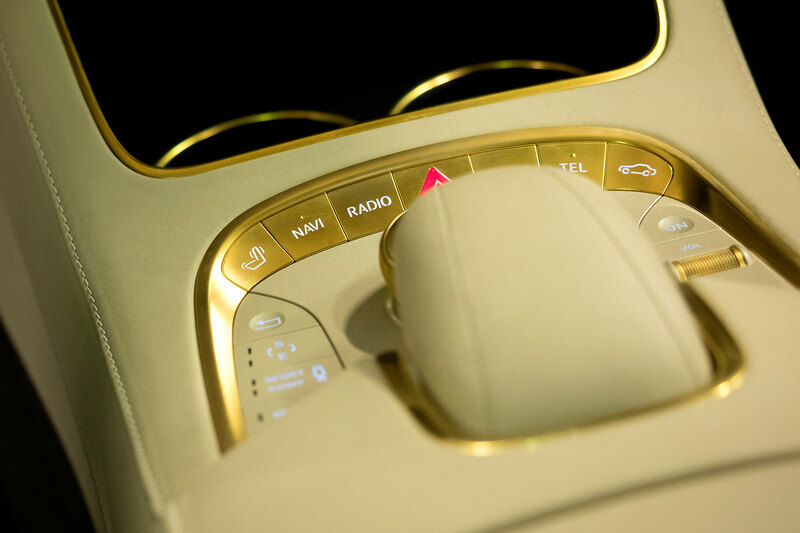 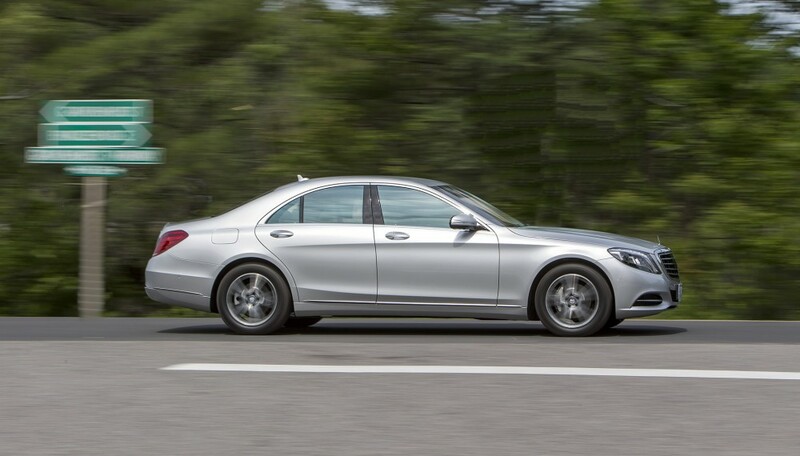 In total, there is around 12,000 Euros worth of gold leaf on the interior and exterior of the S-Class. 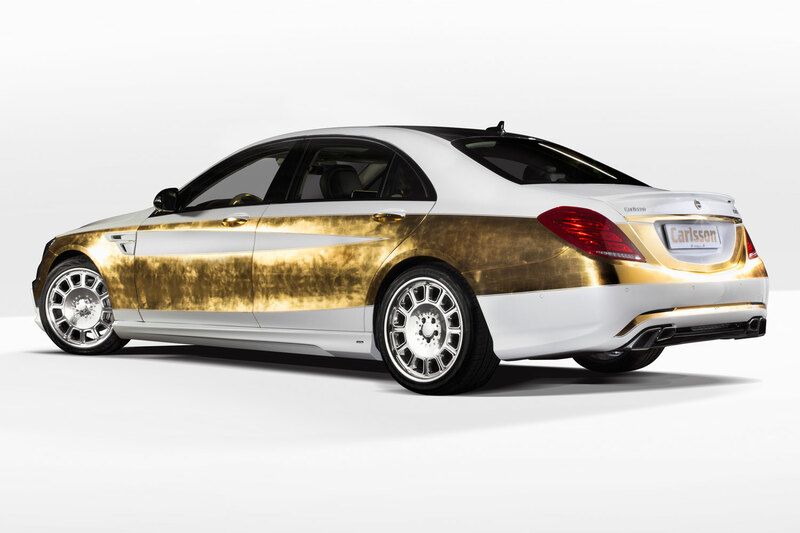 Is it to much, did Carlsson take the S-Class meant to invoke the beauty of King Louis XIV’s palace at Versailles too far. 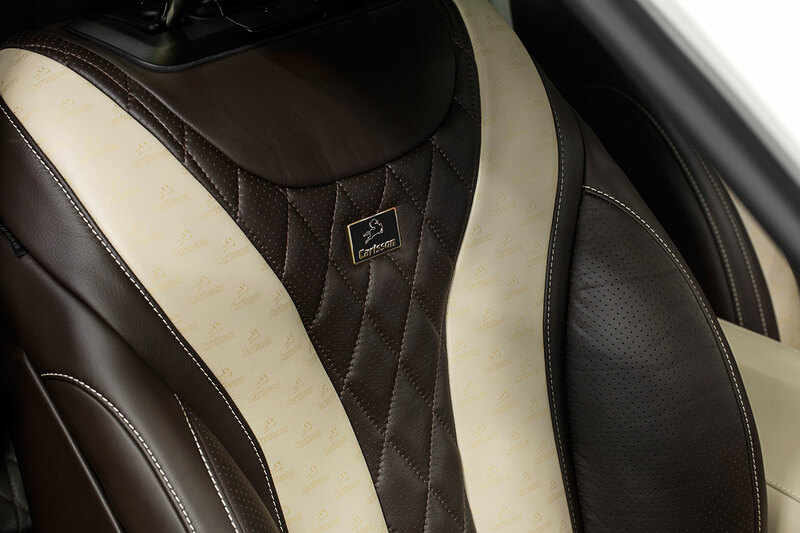 Considering that 10 of the 25 limited edition CS50 Versailles editions have already been spoken for, the answer must be no – it’s the perfect amount of gold. 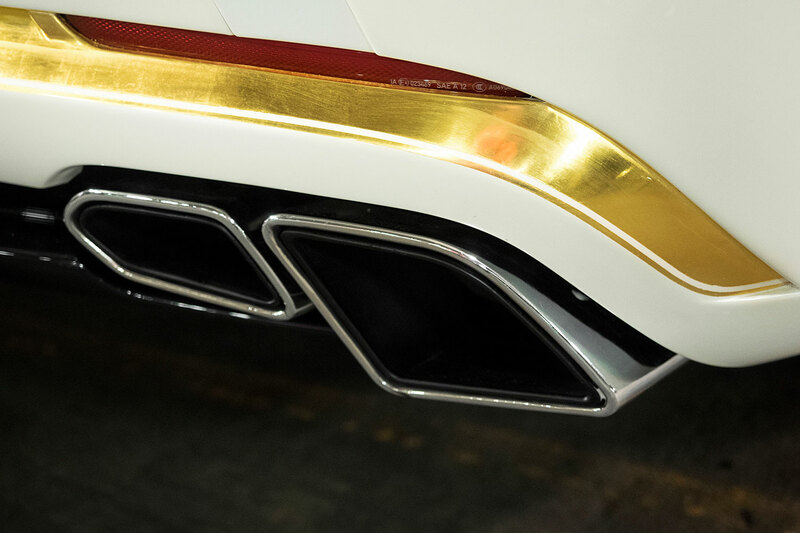 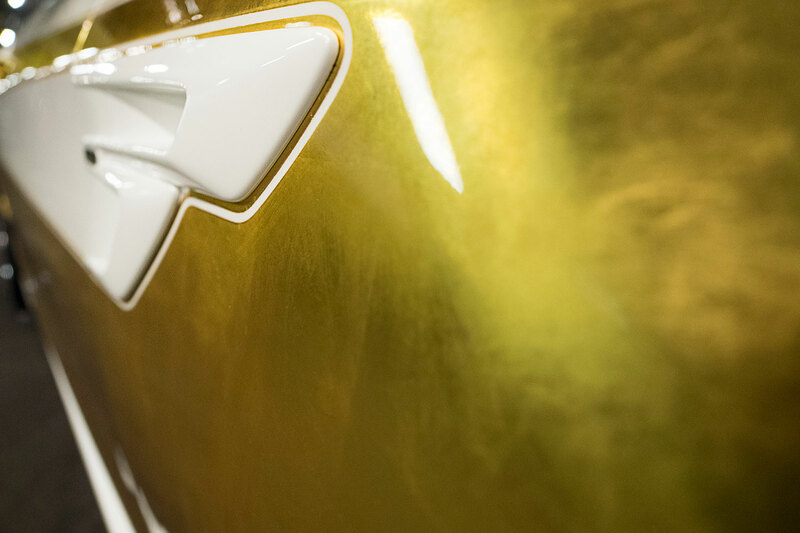 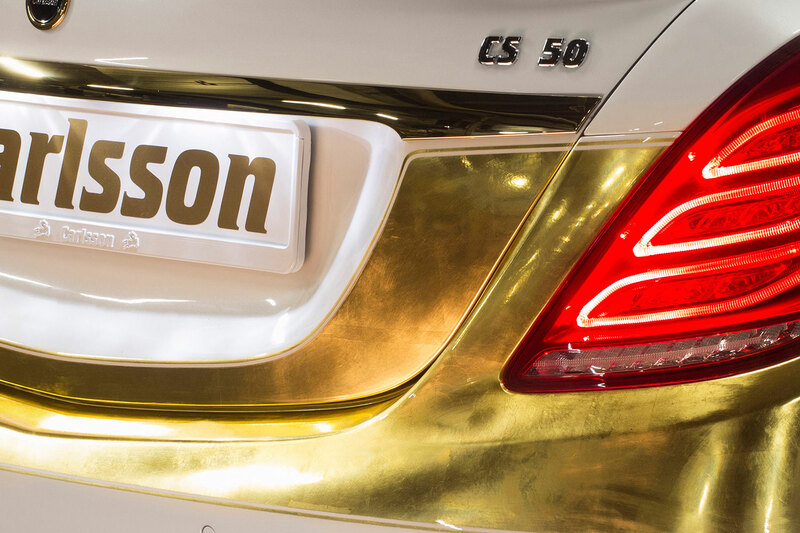 Check out the photo gallery below and see the gilded ride for yourself, or learn more about the Carlsson CS50 Versailles by expanding the press release below.